We're getting down to the end. Today was Day 7. It's hard to believe it's almost over already. This morning I had to perform some ticket requesting magic. My wife is coming up on Saturday to visit me, and I'd like to take her to a movie. The catch is that we as press can only request two public screening tickets a day and they can't both be for the same movie. So, I texted my buddy and asked him if he was using his requests for Saturday. He said no, and wondered if I was using mine for Sunday. I said no, so we simply traded some requests, which works out nicely. Now my wife and I can go to 'Celeste and Jesse Forever' on Saturday night without having to try the waitlist for tickets. 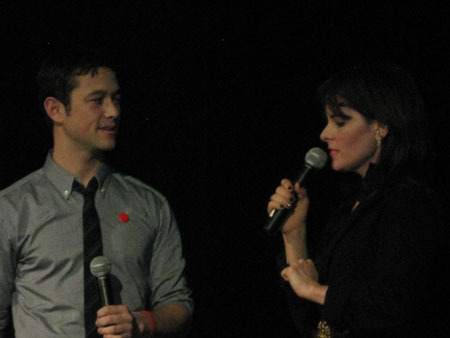 After requesting tickets it was back to the press tent to take in a screening of 'Shadow Dancer.' Directed by James Marsh and starring Clive Owen and Gillian Anderson, 'Shadow Dancer' tells the story of a young mother caught in the IRA conflict. Played by Andrea Riseborough the mother fights to keep her son safe as her brothers are deep within the IRA. They even recruit her for missions, but it's all getting tobe too much. It's a lot like 'Tinker Tailor Soldier Spy' where there's suspense, but not a whole lot of action. This is more silent tension, and it works quite well. I really enjoyed the movie. Once the film was over I hopped on a bus back to headquarters to pick up the ticket my friend had requested for me. I decided I'd write for a while, so I went into the lounge area there. Sitting a table over from me was Brie Larson from 'United States of Tara' and 'Scott Pilgrim.' She was leaning over her coffee talking to someone I didn't recognize. She was talking about a "good script" and starting another project. What it was, I have no idea. I simply overheard a few words here and there, but it's just fun to watch Hollywood business get done across a creaky old table. There's nothing special about it. Then it was back over to the theater to take in a recently announced screening of 'Beasts of the Southern Wild.' This is like the 'Winter's Bone' of 2012. Everyone is buzzing about how good it is and no one can get into any of the screenings because it's so popular. They set up a press screening, so I really wanted to see it. Just to see what the entire buzz was about. While I was walking through the hotel to the press tent I was stopped by a lady who asked if I had a marker or pen that she could use. I pulled the pen out of my pocket and handed it to her. She said, "Thanks. He's going to sign an autograph for us." She was holding a DVD copy of 'Rubber.' 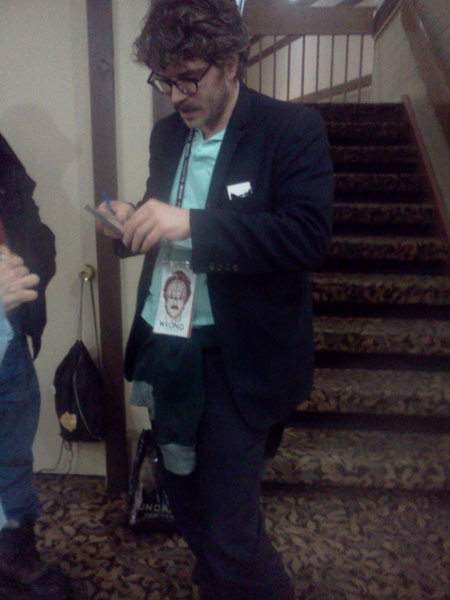 That's when I noticed the man she was having sign her DVD case was 'Rubber' director Quentin Dupieux. I won't bore you with my stories about waiting in lines for just as many hours as I've spent watching movies. I will, however, cut directly to the chase and tell you that 'Beasts of the Southern Wild' is really friggin' good. It's a story about a group of people who live in the Bathtub. It's an island community off the coast of Louisiana. More specifically, the movie is about Hushpuppy, an eight-year-old girl trying to deal with the death of her mother, the danger of an impending hurricane, and her seemingly crazy father. Wow. This movie floored me. 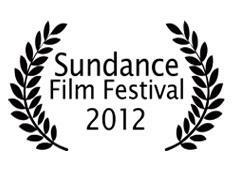 It's beautiful, evocative and has one of the best Sundance acting performances I've ever seen. Quvenzhané Wallis, who plays Hushpuppy is absolutely astounding. It's giving me chills just thinking about her performance. Fox Searchlight bought the movie, so expect to see it in limited release and then on Blu-ray soon. Then it was time for the nightcap. I really shouldn't be staying up so late, but who cares. The festival is almost over anyway. 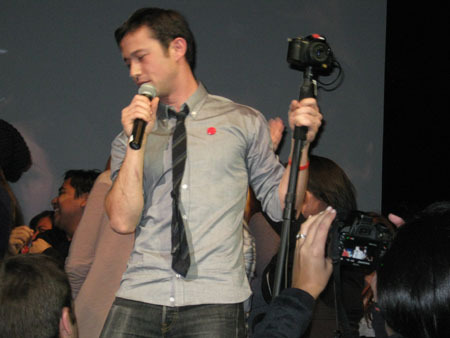 Tonight they had a hitRECord.org presentation with Joseph Gordon-Levitt talking and demonstrating his new website which invites artistic collaborators from all over the world to make movies together. Some people will score the film, some will write, some will animate. Everyone gets in on the process to create art together. 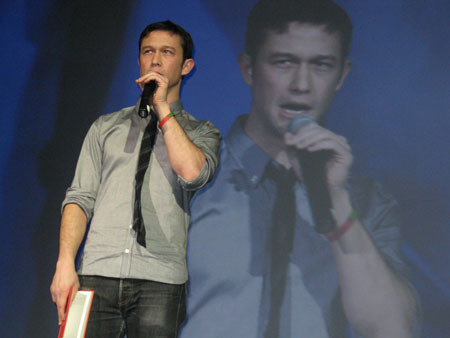 It's an interesting concept, and the night was full of Gordon-Levitt showing us short films created by his collective of artists. Some were funny others a little boring, but all in all it was an interesting night. I sat dead center in the front row so I was able to snap quite a few really good pictures. I didn't get home until well after midnight. I'm writing this journal the next morning and I'm really feeling myself dragging. Friday is an easy enough day though. Only two movies to go to. I'm going to see the documentary 'Big Boys Gone Bananas' and then it's off to see 'Smashed' at 3:00pm to see if I agree with Luke. He says that's been his favorite film so far, so we'll see if it lives up to the hype.